It was pretty cool! From the outside, you’ll notice both sliding glass and French doors where garage doors used to be. This is because it’s a basement and﻿ garage conversion ADU. In case you aren’t already aware, ADU is shorthand for adding a second living space (bed, bath, and kitchen) to a residential property. ADUs can be inside the existing structure or somewhere else on the property (space-permitting). In communities without new land to build on, ADUs can be cost-effective infill housing. ADUs make homeownership more attainable by adding cash-flow to cover the mortgage. For seniors wanting to downsize, ADUs can offer a “downsize in place” option that lets them stay within the community. The developer, Kol Peterson, has been building and consulting on ADUs for almost a decade now through his company, Accessory Dwelling Strategies. He’s also written a book, Backdoor Revolution, that’s incredibly informative and information-dense. I’m already at page ~150. 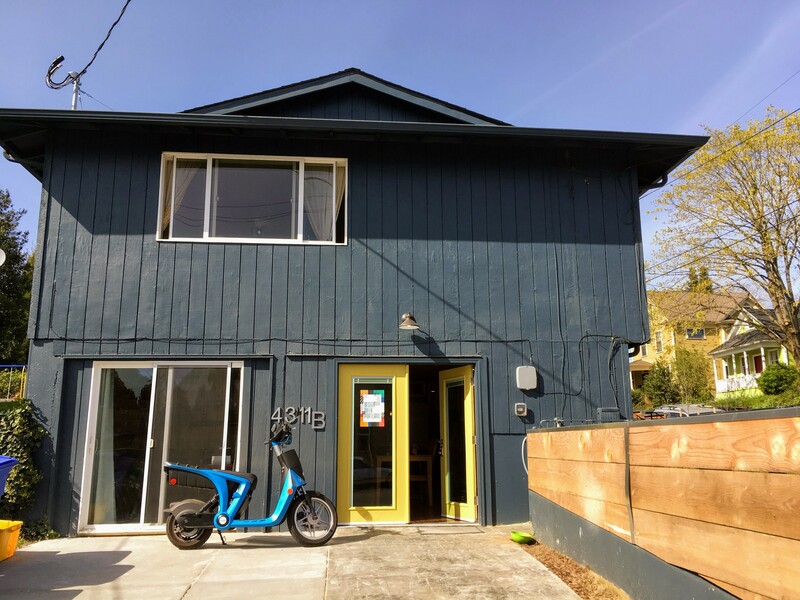 (5) In addition to the parking spaces required in TDC 73.370 for the detached single-family dwelling, one paved on-site parking space shall be provided for the accessory dwelling unit and the space shall not be within five feet of a side or rear property line. In short, we need a three car driveway in order to permit an ADU. But, we only have two slots and there’s no place to put a third. And, ironically, our neighbor can park six cars in their garage, driveway, and street just fine.